When Conan stays calm and uses the zoom function on his tracking glasses to follow the path of the bullet to its source. At the other end, Conan tracked the murderer but, we surisped that Conan are brave when he keep to speed to reach the murderer so faster. And kid rushed to save the victim in the train since he risked his life! It really is crazy! I advised for you all better don't take your risk...if not, your important person will cry and hurt more! Luckily, there are more actions than talking about the predication and solving the mystery cases! So, it is not boring for the adults and kids. We learned the information about SEAL, sniper's skills and techiqnue. We felt that every detective want to solve this case by their own. 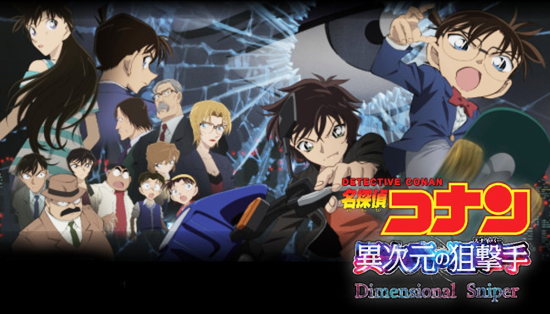 For example, Sera want to work as detective and always help Conan. Subaru also success to solve where place are suitable to shoot a victim! A mysterious sniper always leave the clues and messages for the police officers and FBI detectives. Pity Ran's father...he never do the action so he did to sit in the office all times only! 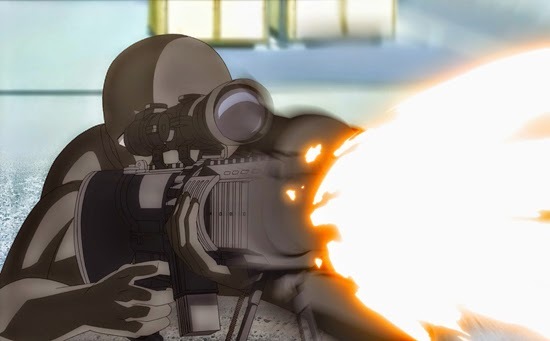 I learned about the snipers's situation and skill techqinue, make me recall when I played the shooting games, I always used to be sniper or gunner because I am good to zoom in or out with used sniper or clever to be hide myself when the enemies won't find me. My youngest sister are really hate to be sniper, so she ask me to help her, then she prefer to be close-in gunner in the games! We just play games with the playstation 3. Hehe. Wow, Ran is really brave to do karate with the sniper make us shocked! 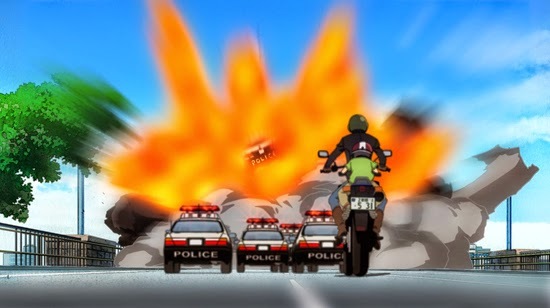 Subaru and Conan keep their hardwork to protect Ran and kids in the Bell Tree Tower since they cannot go near it! Sometimes, their action are comedy or stupid. We learned a lesson about when a person should not do selfish request from a dead person, that can lead him to become crimmial, and it not make you be better than who are you and others. Always be better when you be good sniper when you want to protect your loved family and everyone in the country which you served, not to be darkness sniper! Great, Detective Conan are very famous and always copied so millions around the world! 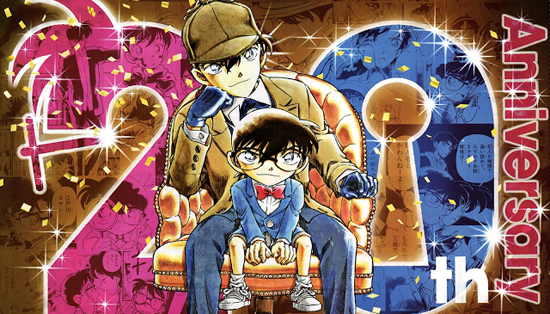 That is why Detective Conan celebrate 20th Anniversary to thank the fans on this year. They did many movies on every year they celebrated! There still are many adults, teenagers and kids love to watch the Detective Conan movies and epsiode series so enjoyable! We are very happy when our country can get the Detective Conan movie since many Malaysians really like the Detective Conan so much! I always like to read the detective comics as always! I lose it in KLIPS dashboard but, I did to win 2 free tickets, because thanks to KLIPS Malaysia Facebook. 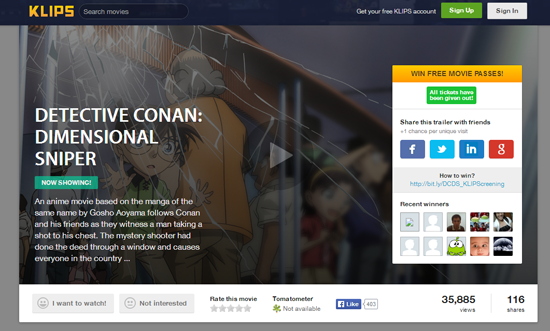 They have a short contest of Detective Conan for Facebook fan users only! It is very easy for me to write the creative caption at my status facebook with hashtag #KLIPS only! 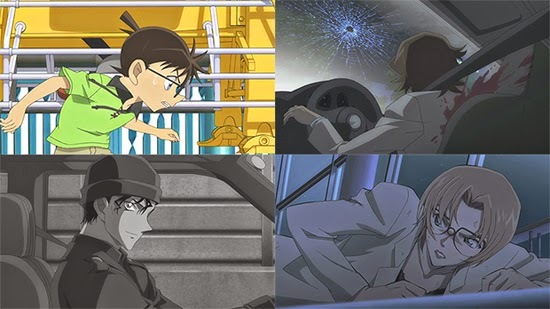 My answer: "I always to get so drawn into every Detective Conan movie that everything around me just sinks away, that is why my favorite anime, #DetectiveConan also is a great mirror of what Japanese-detective Sherlock Holmes's style life is really like! #KLIPS #DetectiveConanDimensionalSniper"
Finally, I got it! I am very happy! 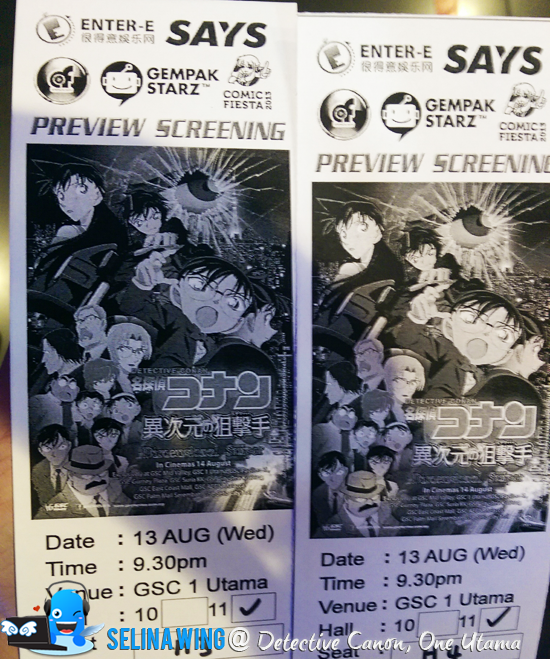 My sister and I went to watch GSC movie in One Utama! First - You can register your new account on KLIPS Malaysia - click here! You can choose 2 options; 1 - collect your tickets at KLIPS office or 2 - ask them to post your home! Easy. I was winning on 10 times already. Great? How? Just promote the movie links via my social media only. I did nothing! Easy!